Background: Cerebral palsy (CP) is a brain disorder, non-progressive in nature. It is caused by trauma to the brain; which may be due to infections, diseases or even direct impact on the head of an infant. In cerebral palsy, there can be physical or mental dysfunction leading to spasticity, dystonia or ataxia. One or more limbs may be affected. Besides, dominance of hand on the side that is less affected than the other which affects gross and fine hand movements is observed. Affected children cannot perform normal daily tasks. Aims and Objectives: The present study was conducted to study the effects of fine motor activity on levels of coordination and gross manual dexterity in children with cerebral palsy who are not undergoing any specific treatment for improved health care. Materials and methods: Children (n=10) with cerebral palsy were randomly selected for the study. Two-month intervention was given that focused primarily on fine motor activities. Assessment was done using questionnaire and tests to analyze activity. Results: The pre and post intervention values were significant for both coordination and gross manual dexterity. Children may be able to use the affected limbs in a better way with proper training and therapy. Conclusion: A significant improvement was observed in children with cerebral palsy with respect to fine motor activities. Cerebral palsy (CP) describes "a group of permanent disorders of the development of movement and posture, causing activity limitation attributed to nonprogressive disturbances that occurred in the developing fetal or infant brain. The motor disorders of cerebral palsy are often accompanied by disturbances of sensation, perception, cognition, communication, and behavior, by epilepsy, and by secondary musculoskeletal problems . It is estimated that the prevalence of CP in general population is about 2 in 1000 [2,3]. The constraints in activities that occur in a CP affected child require individual rehabilitation throughout life . Cerebral palsy is characterized by individual or global mental or physical dysfunction. It may have isolated gait imbalances, cognitive dysfunctions, growth or sensory impairment. The trauma is said to occur before the cerebral development is complete, during initial two years of life. Asphyxia is a known cause of congenital abnormalities. Neonatal risk factors comprise of pre-mature delivery, low birth weight, intracranial hemorrhage, intrauterine growth retardation, and trauma. Few cases reported post-natal acquired cerebral palsy present with bacterial meningitis, encephalitis or direct impact to brain such as in motor vehicle accidents . More than 70 percent of patients with cerebral palsy have spastic clinical features. The affected limbs may demonstrate increased deep tendon reflexes, tremors, muscular hyper-tonicity, weakness, and a characteristic scissors gait with toe-walking. The other forms such as athetoid or dyskinetic type that affects 10 to 20 percent of patients, is characterized by abnormally slow, writhing movements of the hands, feet, arms, or legs that are exacerbated during periods of stress and are absent during sleep. The rarest form, ataxic cerebral palsy, affects 5 to 10 percent of patients and predominately impairs balance and coordination . Such patients walk with a wide-based gait and have intention tremors that complicate performance of daily activities requiring fine-motor function. Intellectual impairment occurs in about two thirds of patients with cerebral palsy. About one half of pediatric patients have seizures. Growth problems are common, as well as neurologic abnormalities such as impaired vision or hearing and abnormal touch and pain perceptions . Arnould et al. suggested CP as a consequence of early brain lesions that may affect the corticospinal tract. CP may impact the hand and its components (e.g., muscles, joints, and bones), as well as several body functions (e.g., muscle strength, control of rapid coordinated movements, touch-pressure detection, and recognition of common objects and shapes). 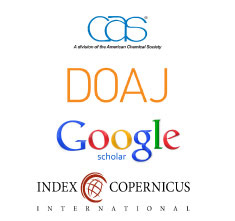 CP may also limit the ICF (International Classification of Functioning, Disability and Health) domain of activities, which refers to the ability to execute an essential task or action of daily living (e.g., eating, drinking, grooming, or dressing) . Quality of movement in the upper extremities is the result of interplay among cognitive, sensory, perceptual, cultural, and motor factors. Objectively measuring the hand function of a child with CP is a difficult task because of the complexity of upper-extremity function. The skill with which a child with CP uses their hands is dependent on the location and extent of brain damage, personality factors, and the unique strengths of the child . Golubović et al. stated that more than a half of the children diagnosed with CP experience various upper limb problems of different severity and heterogeneity. Manual ability refers to the child’s attempt to perform a particular activity. Manual ability and performance of dexterity tasks require both gross and fine hand motion and coordination. Children with CP usually have difficulties performing manual activities such as grasping, releasing or manipulating objects, which is crucial in the performance of many activities of daily life. Hand function problems in children with CP are often associated with problems of motor control, active range of motion, grip strength and persistence of primitive grasp reflex  but are not always correlated with manual ability impairments. Moreover, manual ability and achievement in motor tasks can be influenced by motivation and cognition. Manual activities require the cooperation of both hands, where the dominant hand performs both fine and gross manipulations, and the non-dominant hand is used to stabilize objects. Children with CP develop their handedness on the less affected side. Gross manual dexterity and grip strength on both hands, followed by fine finger dexterity are the strongest predictors of manual ability, while tactile pressure detection and proprioception show lowest correlation with manual ability. Manual dexterity was found to be a strong predictor of functional independence in activities of daily living . In order to assess gross manual dexterity, the Box and Block Test was used. Manual ability was assessed according to Manual Ability Classification System (MACS) . Physical therapy (PT) plays a crucial role in managing various conditions focusing on the function, movement, and optimal use of the child's potential. PT practices several physical approaches to promote, sustain and restore physical, psychological and social well-being. Investigators also explain parents regarding the handling of their child at home for feeding, bathing, dressing and other activities, and give suggestions on mobility devices [11,12]. Previous reviews have stated the effectiveness of PT interventions for children with CP focusing on neurodevelopmental therapy (NDT) [13-15], strength training [16,17], conductive education [18-21], various PT interventions [12-25], or orthotic devices [26,27]. More recent research methods included focused interventions, such as constrained-induced movement therapy, postural control, passive stretching, hydrotherapy, hippotherapy, and orthotic devices . Overall, the effectiveness and efficacy of therapeutic interventions for children with CP has been difficult to determine due to the lack of high-quality research. Antilla et al. referred that PT trials have important implications in children with CP . The purpose of this study was to investigate the effects of fine motor activities on the levels of coordination and gross manual dexterity in children with cerebral palsy, who were not taking any therapeutic measures. Ten children (both male and female) with cerebral palsy participated in the study. Their age, height and weight ranged between 4 to 12 years (mean ± SEM: 8.2 ± 0.84), (mean±SEM:137 ± 6.1), (mean± SEM: 31 ± 2.3) respectively. The study period was for two months. All the parents of the participants were explained in detail regarding the experimental purpose. The intervention protocol was approved by Institutional Research Committee. Written consent was obtained from all the participants before the starting of the experiment. Then they were explained about the task procedure and what they were expected to do. All the participants were investigated to ascertain that there were no infections. Height and body weight were measured with minimal clothing using an electronic stadiometer (Seca 763 Digital Column Scale). Heart rate and blood pressure were recorded at the time of experimentation. In the present study, ten children with cerebral palsy (4-12 years of age) were selected randomly, who were not undergoing any special treatment/therapy programs, to evaluate their levels of coordination and gross manual dexterity. We used the ABILHAND questionnaire and the Box and block test for the testing of coordination and gross manual dexterity, respectively. Also, we used another questionnaire, CPCHILD questionnaire, which focused primarily on the level of care giver assistance of the child. Following this we started a twomonth intervention for the children that comprised of the fine motor activities, such as drawing, coloring, molding the play-doh, and use of peg boards. After the span of two-months, we re-evaluated the children using the same tests and questionnaires. On the day of the experiment all the participants were made to sit and relax before the starting of the experiment. Various tasks were assigned to the subjects. The parents were given a questionnaire about the daily care of the subjects. The subjects were assessed and accordingly the other questionnaires were filled along with the box and block test. Once the questionnaires were filled, the subjects were made to do various tasks, such as molding the play-dough, coloring, drawing or using the peg boards. This was repeated five times a week, for over two months. After two months they were assessed again, and the questionnaires were filled out 2 months intervention was given to 10 children with cerebral palsy to test the effects of fine motor activities on coordination and gross manual dexterity . Assessment of the participants in the present study was done by using ABILHAND-Kids questionnaire to measure the coordination, box and block test to check the gross manual dexterity and the CPCHILD questionnaire to assess the caregiver perspective of the subject for their home care . Statistical analysis was carried out using MS excel. All the descriptive statistics were presented as mean values and standard error of mean values (SEM). The independent variable included fine motor activities while the dependent variable included effects on the level of coordination and gross manual dexterity. 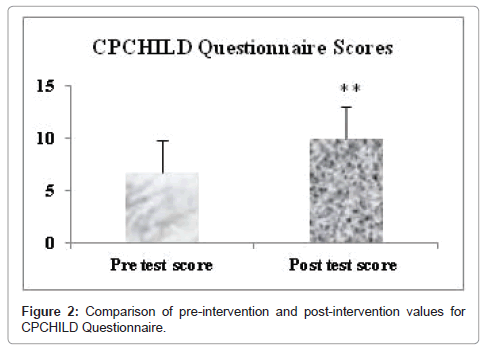 The data were analyzed using t-test to check the significance of the pre-intervention and post intervention values of the CPCHILD questionnaire, ABILHAND-Kids questionnaire and the Box and Block Test and the significance level was observed at p<0.05. Demographic data of participants are presented in Table 1. Mean height and weight of participants were found to be normal. BMI of the participants were in normal range. The heart rate and blood pressure was normal in the cerebral palsy subjects presented in Table 2. Table 1: Demographic values of participants. Table 2: Heart rate and blood pressure of participants. The motor activity post-intervention in cerebral palsy patients increased significantly (p<0.01) when compared to pre- intervention as observed in Figure 1. 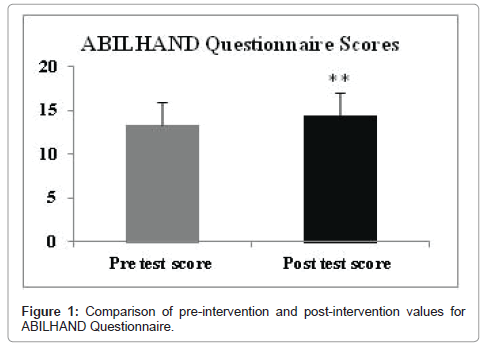 Figure 1: Comparison of pre-intervention and post-intervention values for ABILHAND Questionnaire. It was observed that there was a significant increase in the response when compared to post intervention values as observed in Figure 2. Figure 2: Comparison of pre-intervention and post-intervention values for CPCHILD Questionnaire. 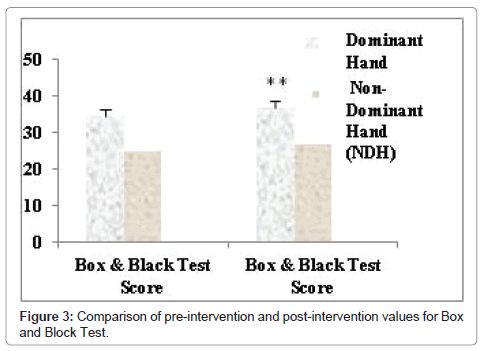 The dominant hand and the non-dominant hand movements were significantly more (p<0.01) after post- intervention versus preintervention as seen in Figure 3. Figure 3: Comparison of pre-intervention and post-intervention values for Box and Block Test. Cerebral palsy can be caused by any kind of trauma to any part of the brain. The most common time of trauma is during the pre-natal period however it is having an idiopathic cause. Fine motor activities are those that we perform using both our hands and require a higher level of precision and accuracy, for e.g., buttoning up shirts, tying shoe laces etc. Coordination is the ability to perform a specific task in synchronization and in a proper order. The task or the movement perse should be smooth and fast. Gross manual dexterity is to bring about small movements by the fingers such as picking up something and placing it in the correct place as is required in the use of peg boards. Himmelamnn et al. studied gross and fine motor function and accompanying neurological impairments in children with cerebral palsy (CP) and reported that Gross Motor Function Classification System (GMFCS) level I correlated positively to increasing gestational age. They concluded that the classification of CP should be based on CP type and motor function, as the two combines to produce an indicator of total impairment load. There are various reports that suggest that in a child suffering from cerebral palsy, there can be any amount of physical or mental dysfunction. In the physical dysfunction the child may be spastic, dystonic or ataxic involving one or more limbs. Studies have revealed that majority of the children with cerebral palsy show an upper limb affected. This leads to impaired hand functions and difficulty in carrying out the basic activities of daily living. More commonly it has been observed that a child with cerebral palsy shall develop dominance of hand on the side that is less affected than the other. This leads to problems with the gross and fine hand movements. The children affected with cerebral palsy are not able to carry normal daily activity tasks such as eating, dressing, bathing, grooming and toileting. This is because of the impaired hand functions. Due to postural imbalances and impaired muscle tone children have motor imbalances. Few studies have also revealed presence of infantile reflexes prevalent for longer durations than they should be. It was found that there was a significant improvement in the scores of all the three questionnaires which was in line with Chen et al. . Since, the CPCHILD questionnaire has a very vast span of assessment; we focused on first two sections of the questionnaire and found a significant change in the same. Authors have stated that there is a direct relation in the manual ability and the gross manual dexterity and that intervention programs and providing physical therapy, focusing on the fine motor activities can lead to a better hand function . Further environmental factors, like parental support, home and leisure time activities, may have influenced children’s functional abilities . However, a similar study conducted on a larger population for a longer duration should be conducted to find out whether similar results could be obtained. We concluded from this study that a two-month long intervention focusing on the fine motor function lead to a significant improvement in hand coordination and gross manual dexterity of cerebral palsy patients. Rosenbaum P, Paneth N, Leviton A, Goldstein M, Bax M (2006) A report: the definition and classification of cerebral palsy. Dev Med Child Neurol 49: 8-14. Bax M, Goldstein M, Rosenbaum P, Leviton A, Paneth N, et al. (2005) Proposed definition and classification of cerebral palsy. Dev Med Child Neurol 47: 571-576. Odding E, Roebroeck M, Stam H (2006) The epidemiology of cerebral palsy: incidence, impairments and risk factors. Disabil Rehabil 28: 183-191. Scrutton D, Damiano DL, Mayston M (2004) Management of the motor disorders of children with cerebral palsy. 2nd edn. Cambridge University Press, Cambridge, UK, p: 191. Krigger KW (2006) Cerebral Palsy. An Overview. Am Fam Phy 73: 91-100. Arnould C, Bleyenheuft Y, Thonnard JL (2014) Hand functioning in children with cerebral palsy. Front Neurol 5: 1. Taylor HB (2003) Melbourne Assessment of Unilateral Upper Limb Function: construct validity and correlation with the Pediatric Evaluation of Disability Inventory. Dev Med & Child Neurol 45: 92-96. Â , Slavkovic S (2014) Manual ability and manual dexterity in children with cerebral palsy. Hippokratia 18: 310-314. Himmelmann K, Beckung E, Hagberg G, Uvebrant P (2006) Gross and fine motor function and accompanying impairments in cerebral palsy. Dev Med & Child Neurol 48: 417-423. Mathiowetz V, Federman S, Wiemer D (1985) Box and Block test of Manual Dexterity: Norms for 6-19 year olds. Canadian Jour Occup Ther 52: 241-245. World Confederation for Physical Therapy: Description of Physical Therapy. Declarations of principle and position statements. 14th General Meeting of WCPT. The Bobath Approach (2018) The Bobath Centre. London, UK. Brown GT, Burns SA (2001) The efficacy of neurodevelopmental treatments in children: a systematic review. Br J Occup Ther 64: 235-244. Butler C, Darrah J (2001) AACPDM Evidence report: Effects of neurodevelopmental treatment (NDT) for cerebral palsy. Dev Med Child Neurol 43: 778-790. Tirosh E, Rabino S (1989) Physiotherapy for children with cerebral palsy: Evidence for its efficacy. Am J Dis Child 143: 552-555. Dodd KJ, Taylor NF, Damiano DL (2002) A systematic review of the effectiveness of strength training programs for people with cerebral palsy. Arch Phys Med Rehabil 83: 1157-1164. Darrah J, Fan JS, Chen LC, Nunweiler J, Watkins B (1997) Review of the effects of progressive resisted muscle strengthening in children with cerebral palsy: a clinical consensus exercise. Pediatri Phys Ther 9: 12-17. Darrah J, Watkins B, Chen L, Bonin C (2000) Effects of conductive education intervention for children with cerebral palsy. AACPDM Evidence Report, pp: 1-34. Pedersen AV (2000) Conductive education - a critical appraisal. Adv Physiother 2: 75-82. Ludwig S, Leggett P, Harstall C (2000) Conductive education for children with cerebral palsy. Alberta Heritage Foundation for Medical Research (AHFMR), Edmonton 22: 54. French L, Nommensen A (1992) Conductive education evaluated: future directions. Aust Occup Ther J 39: 17-24. Boyd RN, Morris ME, Graham HK (2001) Management of upper limb dysfunction in children with cerebral palsy: a systematic review. Eur J Neurol 8: 150-166. Hur JJ (1995) Review of research on therapeutic interventions for children with cerebral palsy. Acta Neurol Scand 91: 423-432. Parette HPJ, Hendricks MD, Rock SL (1991) Efficacy of therapeutic intervention intensity with infants and young children with cerebral palsy. Infants Young Child 4: 1-19. Horn EM (1991) Basic motor skills instruction for children with neuromotor delays: a critical review. J Spec Educ 25: 168-197. Morris C (2002) A review of the efficacy of lower-limb orthoses used for cerebral palsy. Dev Med Child Neurol 44: 205-211. Teplicky R, Law M, Russell D (2002) The effectiveness of casts, orthoses, and splints for children with neurological disorders. Infants Young Child 15: 42-50. Heidi A, Autti-RÃÂ¤mÃÂ¶ I, Suoranta J, MÃÂ¤kelÃÂ¤ M, Malmivaara A (2008) Effectiveness of physical therapy interventions for children with cerebral palsy: A systematic review. BMC Pediatrics 8: 14. Chen Y, Kang L, Chuang T, Doong J, Lee S, et al. (2007) Use of Virtual Reality to Improve Upper-Extremity Control in Children with Cerebral Palsy: A Single-Subject Design. J Am Phy Ther Assoc 87: 1441-1457. Ketelaar M, Vermeer A, Hart H, Van Beek EP, Helders PJM (2001) Effects of a Functional Therapy Program on Motor Abilities of Children with Cerebral Palsy. J Am Phy Ther Assoc 81: 1534-1544.